This quarter explores what it means to have eternal life. 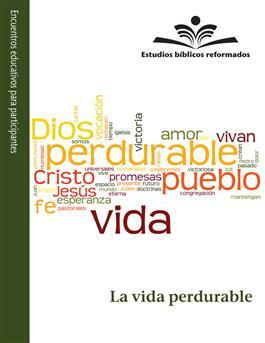 Estudios biblicos reformados reflects on the theological beliefs of the Reformed tradition. It comes in two components: a Bible study for students and a guide for leaders. Written by authors of the Hispanic/Latino Presbyterian community, Estudios biblicos reformados (Reformed Bible Studies) is a quarterly curriculum for adults that is created and produced by the PC(USA). These materials reflect the theological beliefs of our Reformed tradition and include adaptive aids for a younger audience. It comes in two components: a Bible Study for students and a guide for leaders.